Thrifted D.I.Y. 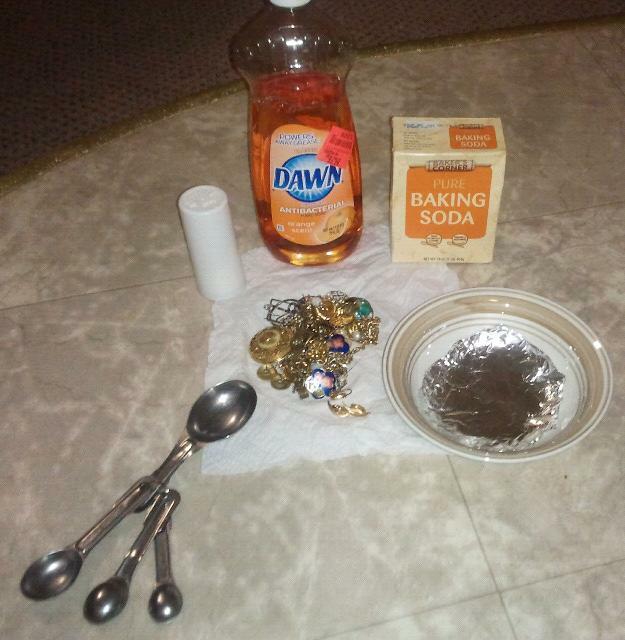 : Clean Your Baubles with Household Products! If you’ve spent time in a thrift store, you know how dirty your hands can become very very quickly. So I get why some shy away from jewelry. It has laid on or been inserted into someone’s skin and most lack shine. I have a simple solution. This is a super simple recipe. Microwave the hot water on high for 2 minutes, cut the aluminium foil so that it covers the bottom of the bowl and then place it there. Pour the hot water in the bowl, then add the jewelry. Promptly pour the last three ingredients on top of the jewelry. Give it a stir with the measuring spoon. Allow the jewelry to sit in the mixture for 10-15 minutes. Pat dry. 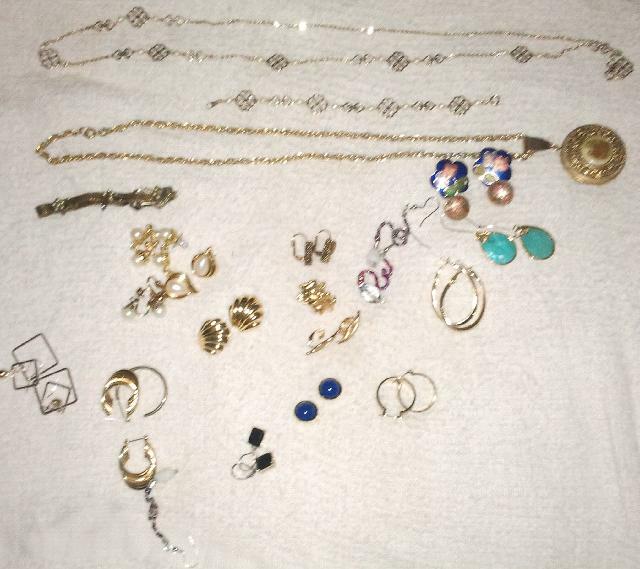 I did this twice because thrifted jewelry can be very grimy. I would say it worked out very well! I thrifted all July 4th. Except Monday (July 4th) 😦 but everyone needs off one day, right? I’ll show up what I got in an upcoming blog entry, but first I wanted to do something different. I have a nice little talent for taking a special item and make it look new with a fresh coat of paint or a stain. 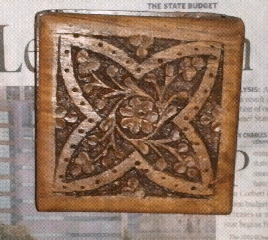 First is this awesome hand-carved trinket box from India. It’s beautiful, right? But it needs some work! 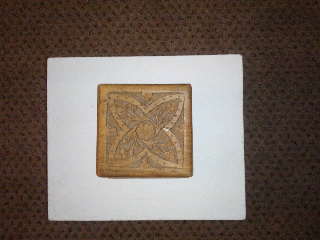 Then I stained the box with some leftover stain from a distressing kit, which took 3 coats thanks to that cleaner. Each stain coat took 45 minutes to dry due to the high humidity, so did the glossy top coat. Lesson learned: Stain a wood on a less humid, cooler day and never.use a multi-purpose cleaner again! On to the next thrifted project. Okay…more like the only thrifted outfit. I only styled one thrifted ensemble this week…thanks to two half days and very little to inspire me at the first half of the week.&amp;nbsp; I think I made up for it yesterday! It’s very country club/Desperate Housewives-ish. The top I got from New York and Company last Spring. It’s deep teal, with crochet/lace on top (strapless bra necessary! ), and it warms up my skin tone. 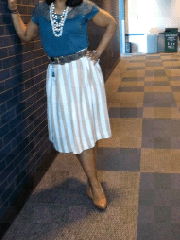 Thrifted items: The tan and white skirt (dry clean only…ugh! ), unworn shoes from Target and a taupe suede belt with gold accents. Accessories: (Thrifted) Polished white quartz and gold beaded necklace and faux pearl necklace from Old Navy. Hopefully I can get the creative juices flowing so I can style more thrifted outfits for you guys!